This deep, spacious spa provides a great massage to your tired feet on the perfectly placed foot-jets. Relax in the comfortable lounge seat. This spa also features a serene waterfall, an LED underwater light and Plug-N-Play technology. It weighs less than 350 lbs. without water, so go ahead and take it with you! It features 18 jets for a relaxing massage. Plugs into any standard 110V outlet. 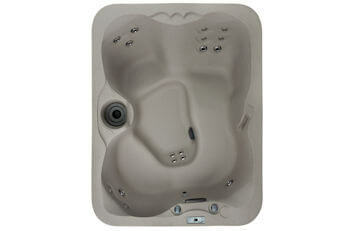 A large spa, it comfortably seats seven adults. 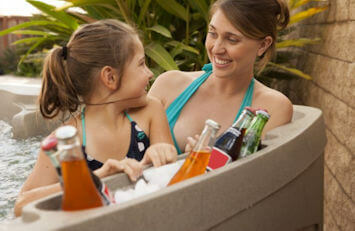 This spa features a molded-in ice bucket that holds your beverages of choice. It’s easy to set up, no electrical hard-wiring is required and its made from tough, weather-resistant materials. It’s full foam insulation keeps the electric bill low. It features 22 relaxing jets! The 5-seat Excursion spa features a lounge for maximum comfort and a molded-in ice bucket making it the perfect spot for entertaining friends or spending time with family. Sit back and relax in the lounge seat as calf jets massage your legs, leaving you feeling rejuvenated. You’ll enjoy 25 massaging jets. 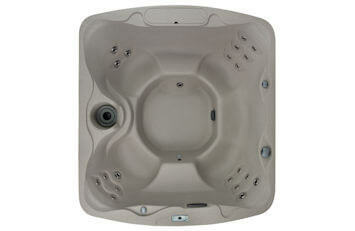 Would you like to download our FREE Hot Tub Buying Guide? It has answers to everything you ever wanted to know about buying a hot tub! Did we mention it’s free? Freeflow Spas are portable, hot and ready, wherever you are! These hot tubs fit your backyard, condo balconies and porches. You’ll even find a triangular portable hot tub for corner spaces! Are you a renter? No worries! 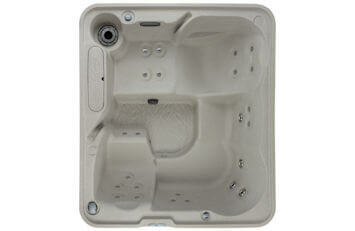 Our spas are perfect for renters and home owners alike because there’s no custom installation required. Fill your spa with a garden hose and plug directly into any standard 110v outlet. What’s more – Freeflow Spas’ lightweight unibody design means you can easily take it with you. 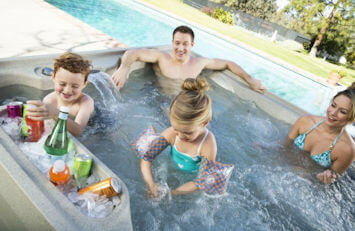 Not sure how a new hot tub fits in your budget? Check out our financing options to make your backyard dreams come true. Financing is subject to credit approval.